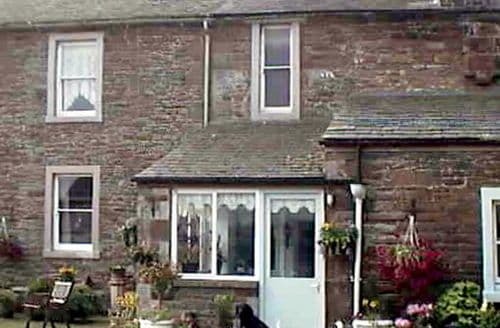 What our customers are saying about our Holiday Cottages In Wigton To Rent. 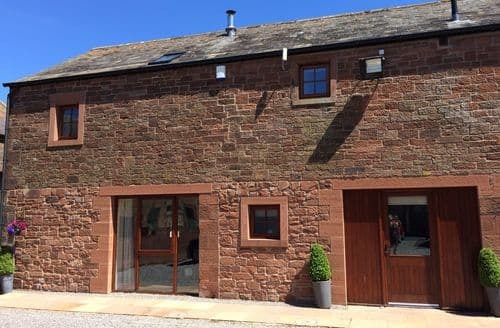 "We stayed for a weekend stay at S4005in Red Hall Farm Holiday Cottages in April and I would highly recommend it to anyone. The accommodation is lovely: top quality furnishings, full of comfort and character. 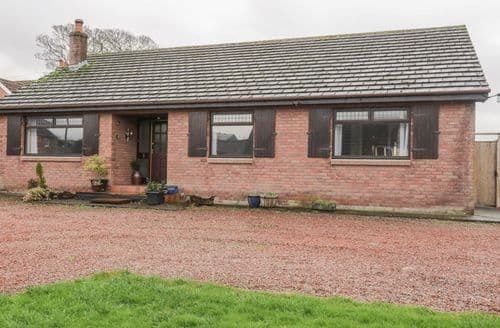 It was so interesting to see photographs of how the building had been converted from the bothy where the farmhands used to sleep to a spacious but cosy cottage complete with log burner and, beams with hi-spec kitchen, bathroom and furnishings. The master bedroom with its high ceiling was lovely with a comfortable bed. There was also a private outdoor space from where we could enjoy tranquil views and experience life on the farm – it would be a great place for children to stay. We had a warm welcome from Joanne who brought us a basket of home-made scones and a jar of delicious Lakeland jam. Joanne was very helpful in giving advice and information (also very kind in posting back to us various belongings we had left!). The log basket starter kit was also a great bonus. We’d never stayed in this part of the Lakes before and were really impressed by the area – it’s close to Cockermouth which is now my favourite Lake District town and the pleasant town of Wigton, but it’s also near the coast and Solway Area of Natural Beauty which was something of a revelation. Then, of course, the Lakes National Park itself is right on the doorstep. Another plus was the wealth of great pubs and hotels nearby where (unlike as is often the case in Keswick), it was possible to get a seat. And the very reasonable price was for a three-night stay which came as a pleasant surprise as we thought it was for two (although we had been told on booking), so we got to stay another night!" 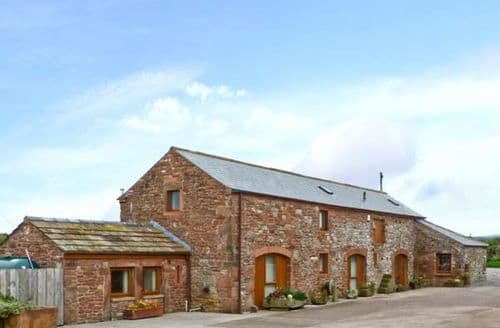 "I stayed in The Old Grain Store with two colleagues for three weeks whilst working up in Cumbria and found the quality of the accommodation to be superb. The property is clean and spacious with excellent kitchen and bathroom facilities. The heating system is extremely effective, so much so that there was no need to use the wood burner in the living room (which was a bit of a shame as it looks really great). 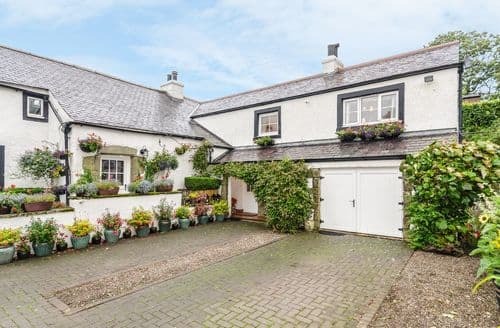 Being located around three miles from Wigton and easily accessible from the A595 means that Carlisle, Whitehaven and Keswick are all within a 30 - 45 minute drive. 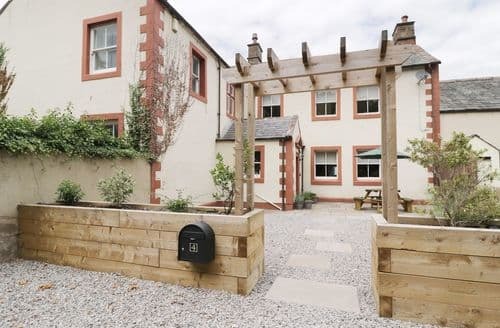 Furthermore Wigton station is walkable (about 1 hour) and buses to Carlisle and Keswick are available just up the road in Bolton Low Houses. Plenty of information about the local area is available in the house and Joanna is always happy to provide more. The wifi is also very good, especially compared with most other rural accommodation I have stayed at in the past. Joanna made us feel very welcome with a warm, accommodating and always positive demeanour. She kindly provided clean towels, bed sheets, eggs, banana bread and jam weekly (above and beyond what I expected). Being on a working farm also provides the place with a great atmosphere. The dogs were especially friendly and I greatly enjoyed their company. All in all I cannot recommend it enough. 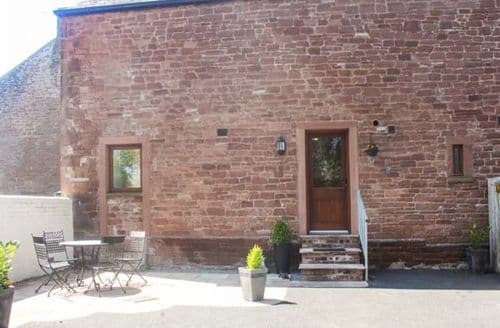 As either a place to stay while working or for a couples, family or friends holiday it really is ideal." 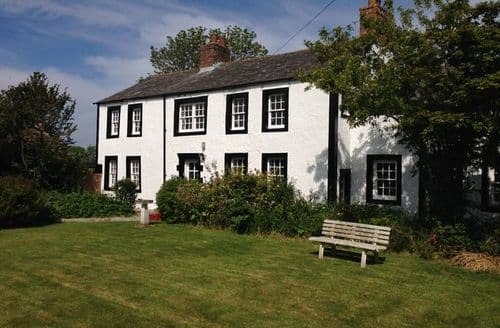 "What an absolutely stunning cottage - I would happily have this as my home and not change a thing! We visited S4006 primarily for a wedding in the area, staying as 4 adults and 1 child and could not have been happier. The owner (who was just lovely) contacted us prior to our visit and checked the age/gender of our child and made sure there were games / books / decor approraite and she felt well and truly special. She also checked to see if we had any specific requirements. On arrival we had a basket of warm, freshly cooked scones waiting, along with local jam and a pack of eggs - complete with the hens names. Everything you could want was provided (except a BBQ although I didnt ask if there was one) There were logs for the fire - which, despite the warm weather, we lit - as it would be wrong to visit the lakes and not have a log fire burning. There was a grassed area complete with picnic table, a football goal and swingball which was great and of course, the farm which we were free to roam. Beds were v comfortable, furniture lovely, bathrooms great. 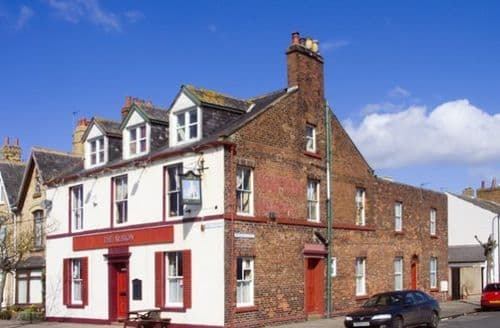 Decent location - a few local pubs that we tried and within 30 mins drive of many places to visit such as Bitts Park, Carlisle Castle, Ullswater Steamers, Hadrians Wall etc. Would point out that this is not somewhere to stay if you're not driving. I would not hesitate to stay here again. It really was lovely. 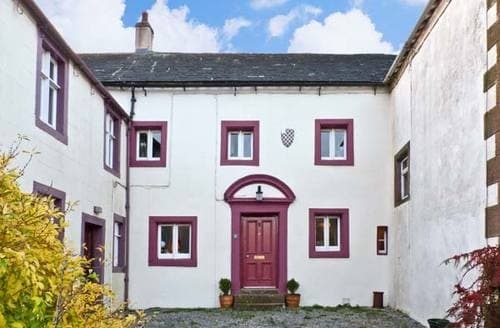 Thank you"
"We had the most fantastic Holiday in Cumbria. S4006 completely surpassed expectations. 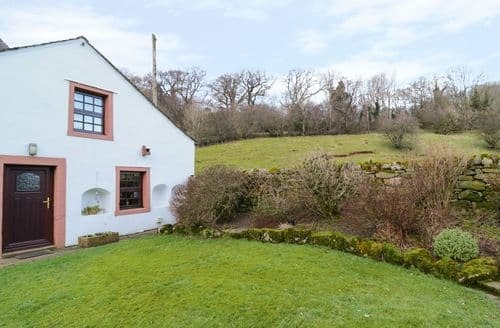 It is a gorgeous little cottage, that has been beautifully converted and well maintained. Everything we could possibly need had been provided. We received a lovely welcome basket filled with homemade scones, banana bread, and local jam. Joanne had also left a selection of toys for my little girl to play with during our stay which she absolutely adored, and was so thoughtful. All the rooms were well appointed, comfy beds and sofas, and beautifully decorated. 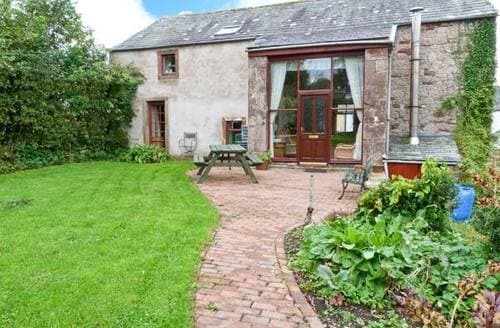 We loved the outside space, a little courtyard at the back where we had a barbecue one evening (also provided by our lovely hosts), and a lawned area next to a field with calves and sheep with ride on toys which my daughter also loved. We had the opportunity to feed the calves in the evenings, and we were also taken on a nature walk around the farm one evening where we saw a buzzard, heron and two hares (amongst other wildlife). Our hosts were so friendly and accommodating, I really cannot fault S4006. We has such a wonderful time. I was pretty devastated when we had to leave! I would thoroughly recommend you book your holiday here!"